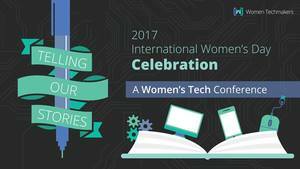 The 2017 International Women's Day Celebration is a women's tech conference that will highlight the stories of Fresno's growing female community of designers, developers, and technology entrepreneurs. This event will be March 19th at Bitwise Industries starting at 9am. At this inspiring 1-day event, there will be plenty of speakers discussing different aspects of their tech careers, as well as educating those attending on specific topics. Though this event is primarily attended by females, it is in fact open to anyone interested in tech. Wanting to learn more about this event, we were able to get in touch with Nancy Mohamed, the conference director of the 2017 International Women’s Day Celebration, as well as the co-lead organizer of Women Techmakers Fresno. Nancy filled us in on what to expect and look forward to at this upcoming event. Tell us a little bit about the upcoming International Women's Day Celebration. How did it get started? 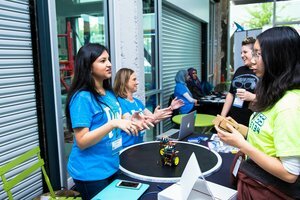 Women Techmakers is a program Google started to create communities and resources for women in technology. There are chapters all around world, including Fresno. Every year in honor of International Women’s Day, the Women Techmakers chapters host a women’s tech conference in March or April. Our event will be Sunday, March 19th at Bitwise South Stadium. Tell us a little bit about yourself. What's your role there? My name is Nancy Mohamed and I am the conference director of the 2017 International Women’s Day Celebration as well as the co-lead organizer of Women Techmakers Fresno. 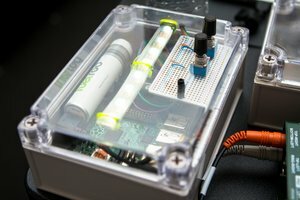 I attended last year’s IWDC as a volunteer and absolutely loved it. After the event, I reached out to the organizers, Rio Waller and Victoria Solomon, to ask how I can get involved with this great organization. It just so happened that Victoria was moving to a different state, so being the opportunist that I am, I asked to be the next co-lead organizer. When November 2016 came along, I asked Rio, who led the previous conferences, to be the conference director for this year, and she couldn’t say yes enough. I was so honored. What has been the success of this event in the past (if there has been one)? Who does it benefit? This year will be the 4th women’s tech conference. It has doubled every year, so we expect 200 attendees this year. The event benefits 3 major groups of people: 1) women who currently work in the technology industry, 2) women who are studying and getting ready to be apart of the tech industry, and 3) women who just plain old love technology. Our event is open to anyone, but our primary audience is definitely women in tech. What's something someone can expect while attending? The schedule for the event is up on our website. After attendees have checked in, they will eat breakfast catered by Mabel’s Kitchen. With some food in their bellies and coffee in their veins, the attendees will then hear a panel discussion between three speakers, Saori Jansen, Monisha Edwards, and Alison Haugan. After the keynote, the parallel sessions will begin, with 4 tracks: UI/UX Design, Google Cloud, Makerspace, and Tech Talks. Lunch will be served by La Jacka Mobile and local tech organizations will have tables in the lobby where attendees can learn more about the local tech community. Parallel sessions will resume again, and the event will end with closing statements and raffle prizes. How can someone get involved if they can't attend? Women Techmakers Fresno holds monthly meetings every third Sunday of the month. If someone is interested in attending those, then they can like us on Facebook to stay up to date. Anything else we should know about the conference? Under the theme of “Telling Our Stories,” this one-day event will highlight the stories of our growing female community of designers, developers, and technology entrepreneurs. It is geared towards all coding skill sets, including those who don’t code at all. 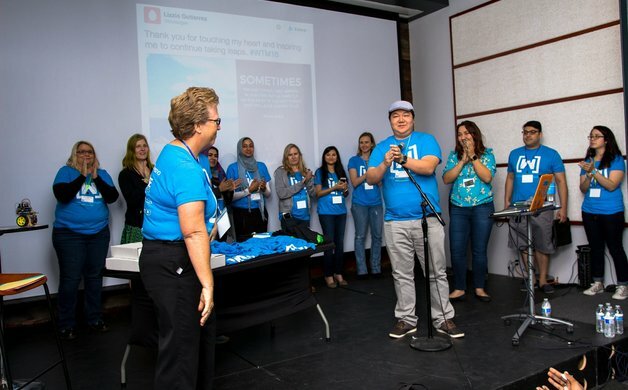 Our goal is to inspire the Valley’s future tech professionals, connect existing techies, and have a ton of fun doing. To learn more about the upcoming event, you can visit their website.